A worldwide conglomerate of research laboratories: technology, medicine and even military factions are part of it. The Consortium is the name given to this autonomous organization of laboratories spread across the world. This faction is the one with the greatest importance in the Derideal comic and the main antagonist. 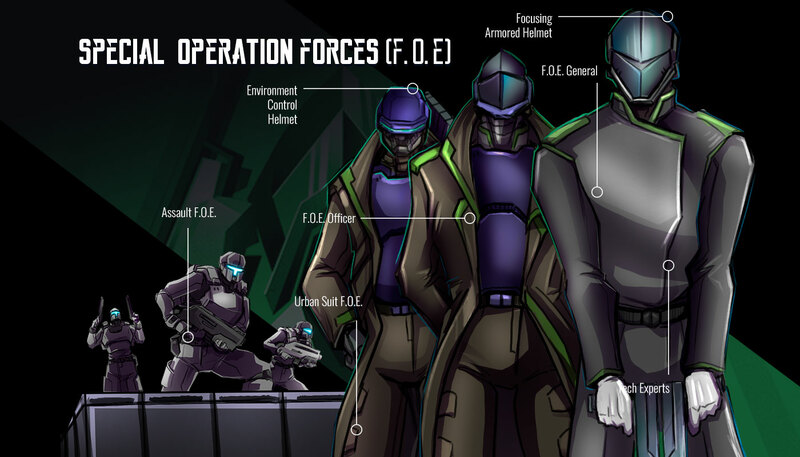 The Consortium is protected by the Survival Function, a force of soldiers and security guards that enforce laws; in addition to this police-like organization the Consortium has an small force of independent elite soldiers called F.O.E. 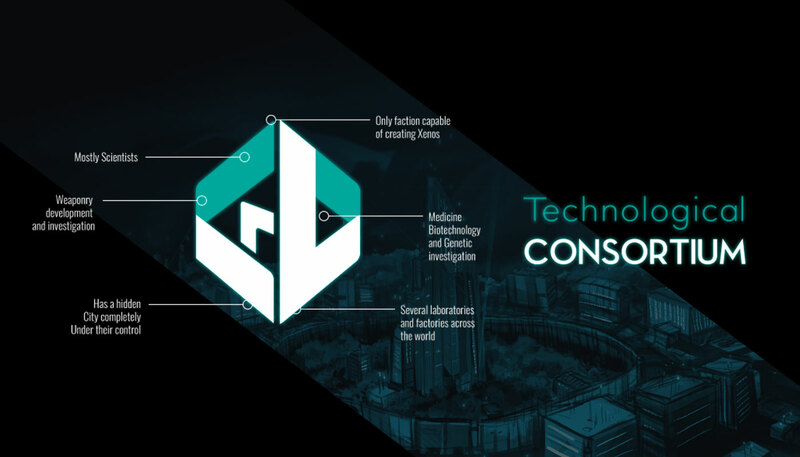 It contains the biggest laboratory the Consortium has, where the most sensitive investigations are developed; specifically those in the medical, biotechnological and recently genetic fields. Several specialized scientists work on dark and secret projects with the objective to maintain the technological and military supremacy of The Nexus and humanity. The main Consortium Building is extremely well guarded by military personal and cutting edge automated security measures. A big city was built around the building, where many workers do their routine work and their family homes are located. 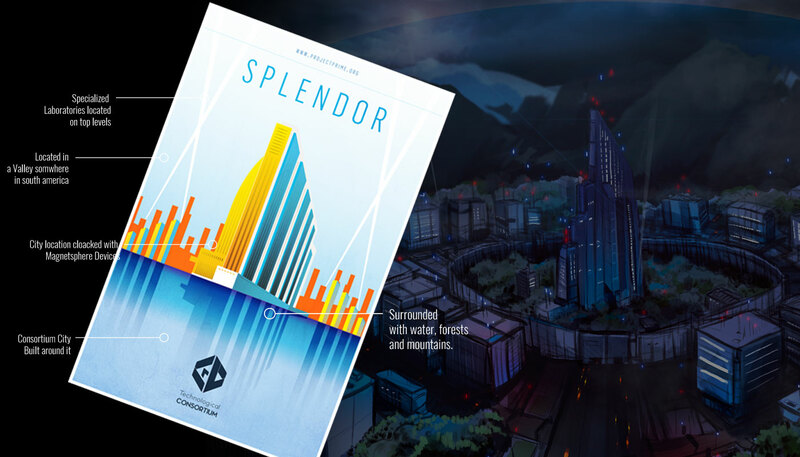 The city is covered by Magnetosphere towers that block communications to the outside of the city and make the city invisible to satellite surveillance (with a little help of the harsh weather that keeps the city hidden under clouds). This is city is hidden, and nobody can enter or exit without Consortium authorisation. Guarding the Internal and External sovereignty. 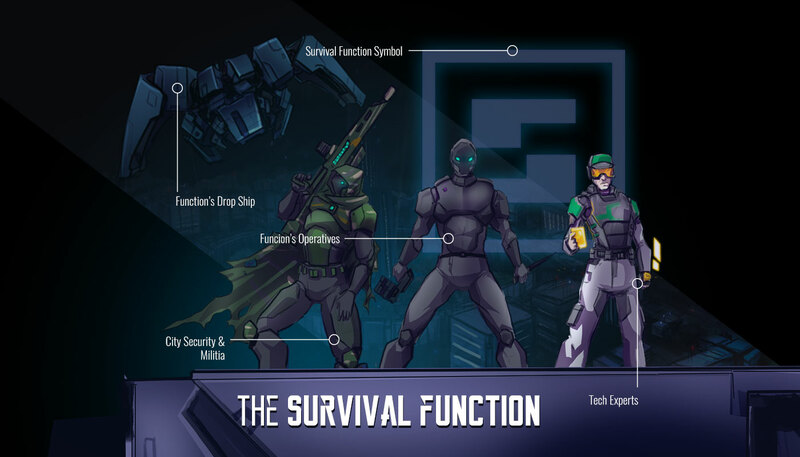 The Survival Function is one of the main factions in the society organization, and probably the most complex, sharing healthcare and city keeping with the Control Function. The Survival Function answers directly to the central government called Nexo. A veteran elite troop, chosen from the very best humanity can offer, veterans of many battles. The F.O.E. troops are the most lethal in the world, it is said that a single F.O.E. can fight ten Survival Function soldiers with almost no problem. These troops are extremely proud and support causes they believe worthy, since they think of themselves as the protectors of humanities best interests. The Technological Consortium has the support of the F.O.E. The Control Function operates as government system and coordinates the rest of the society factions, defines their objectives and budget, and additionally shares the duty of creating laws with the Survival Function. 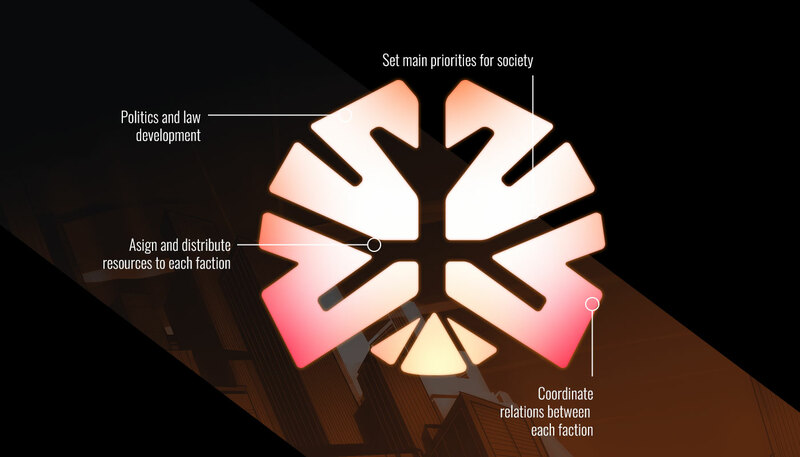 The Control Function is usually more centralized than the other factions and has only a few facilities in each city from which it execute its government duties. Despite it being well informed about all of the other factions’ activities, the Control Function rarely interferes with The Consortiums business. The Control Function answers directly to the Nexo representatives in the region. The mysterious benefactors of humanity, a global organization method to ensure the survival of humanity and optimal organization, they control the world from the shadows. 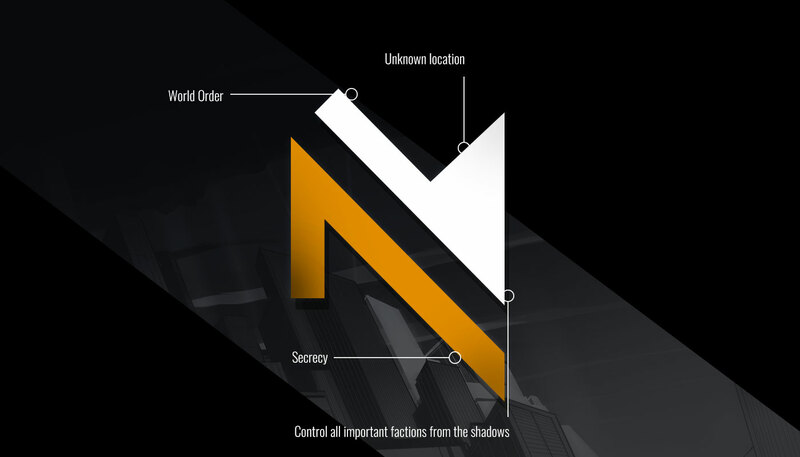 The Nexo created the current world organization and it is unknown how many people currently are within their ranks, but it is said it was formed by the leaders of the lost independent countries, long time ago when the war for resources was getting out of control. They’ve organized society and created mechanisms to control the population. Whether they have a hidden agenda is unknown. The Project Prime was the first total genetic modification performed on a living being, allowing the creation of viable animal hybrids with predefined purposes or functions, fitting social or military needs. 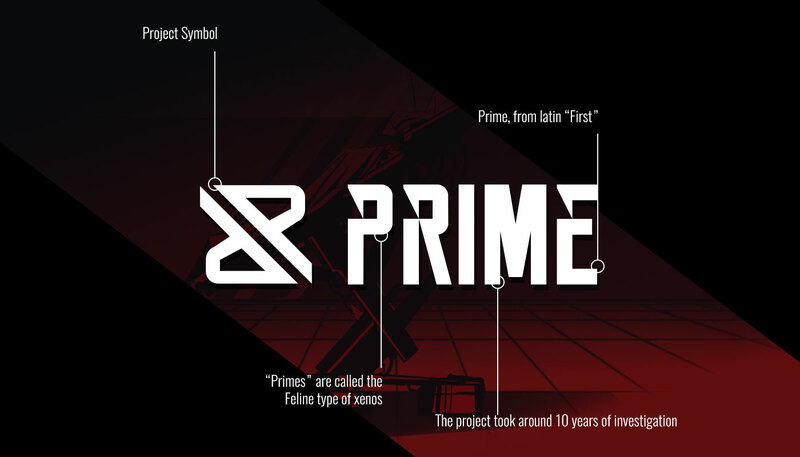 The main accomplishment of the Project Prime was the creation of the so called Xeno: anthropomorphic animal creatures, originally only consisting of felines. In the spin-off universe of the Project Prime comic series, due the initial success of the experiment, The Consortium has developed a series of Xeno creature types, based on extensive genetic modification of other species. The Project symbol is an abstract representation of an hourglass, formed by two modified P letters. It symbolizes the passing of time and the steady progress of development. Prime means "First" in latin.